Ground-breaking spoken word poetry and jazz co-presented with Caliban Arts Theatre. Presented by Lula Music And Arts Centre. Admission: $25 early bird / $30 in advance / $40 at the door. Dinner reservations (see below) guarantee seating. Philadelphia-born and based poet, songwriter and performance artist Ursula Rucker, known for her work with producer King Britt, has released six solo albums and contributed to multiple releases with The Roots including their 1999 release “Things Fall Apart.” Ursula is joined by Rich Brown (bass), Hugh Marsh, (violin), Thompson Egbo Egbo (piano) and Don Pham (drums). Version Studio Music Project featuring Lee Castle and Amai Kuda, contributes the opening set, fusing Afro-soul, trip-hop, down tempo, roots and poetic blues. 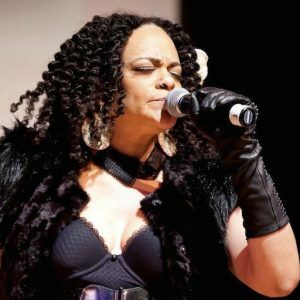 Ursula believes in taking her art as far as it can go…whether it be through teaching activism, lecturing, conducting workshops, merging it with music and recording or rocking mics and stages. 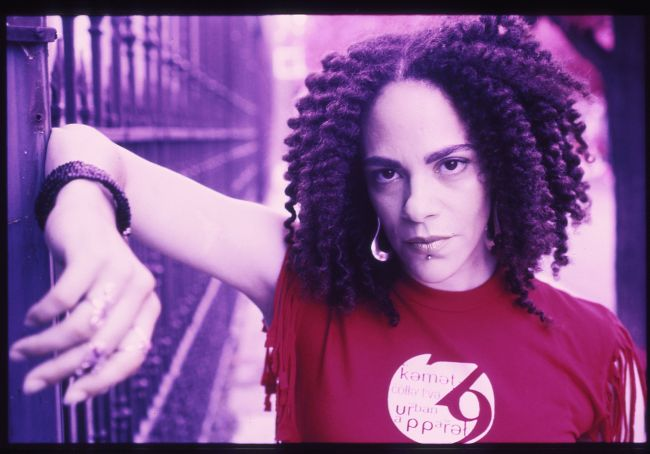 To date, Ursula has released five solo albums (Supa Sista, Silver or Lead, ma’at mama, Ruckus Soundsysdom, SHE SAID)…as well as collaborated on over 100 songs, in a wide array of musical genres, with producers/artists from around the world (such as King Britt, Bahamadia, The Roots, 4 Hero, Jazzanova, Louie Vega, Incognito). Ursula was awarded both the Leeway Foundation’s Art for Change & Transformation Awards. She is the feature of a documentary short called POET. In 2015, she successfully premiered her first one-woman show/live memoir My Father’s Daughter, and is still touring with it. Most recently, Ursula is most proud of her Monument Lab piece “Logan Squared”, an epic poetic ode to her beloved city Philadelphia…as well as…Voices of Kensington, the poetry series she curates thru the Philadelphia Mural Arts Program…geared towards healing and giving voice to the Kensington community greatly affected by opioid addiction. Currently, Ursula is working on her 6th solo album, and planning her first book project. On weeknights, Lula offers a distinctive tropical fusion dinner and dessert menu. See Lula’s dinner menu. Reserve for dinner online or call – 416.588.0307. Admission to the show is additional.